Mr. Howard D. Bains, age 95 of the Hiwassee Community in Smith County, passed away Tuesday October 23, 2018 at the Pavilion in Carthage. Born September 8, 1923, in Smith County, he is the son of the Late Dan Cress “D.C.” Bains and Mattie Agnes Robinson Bains. 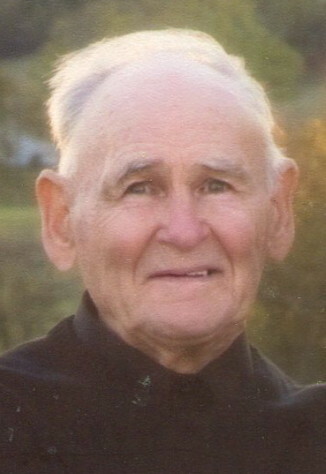 He was a 1941 graduate of Carthage High School, and was a member of Rome Church of Christ. He served in the United States Marines during World War II, and was a lifelong farmer. In addition to his parents, he was preceded in death by a sister, Mary Bell Ray, and a brother, Dan Edwin Bains. He is survived by his wife of sixty six years, Loneta Chaffin Bains; two children: Pam (Tom) Billington and Phillip (Joyce) Bains; sister, Sue (Ray) Collins; four grandchildren: Kristina (Daniel) Kirby, James Daniel Bains, Susan (Jeremy) Reeder, and Julianne (John) Thomason; great grandchildren: Brayden Thomas Kirby, Kendall Paige Bains, Austin Louis Kirby, Bains Hill Thomason, Boone Franklin Thomason, and Hannah Elaine Reeder. Funeral services will be held 1:00 PM Thursday, October 25, 2018, at Ligon & Bobo Funeral Home with Stan Stevenson and Freddie Clayton officiating. Interment will follow in Bethlehem Cemetery at Tuckers Cross Roads. Visitation Wednesday 2–8 PM and Thursday after 11 AM at Ligon & Bobo. Phil and Pam, So sorry to hear of the loss of your dad. Such a fine Christian man! We will have your family and especially your mom in our thoughts and prayers in the coming days. Sorry to hear your loss. Keeping Loneta in our prayers. Fine people to know. Dear Pam, all of us at the Smith County Heritage Museum are saddened over the loss of your father. Please know that we are lifting you and your family up in prayer, asking the Father to give you strength and peace during this time. Please know, Pam and Family, that you have our sincere sympathy on the loss of your father and grandfather. We were saddened to hear of Mr. Bain’s passing. The world lost a good man and a good friend. Our condolences to his family.